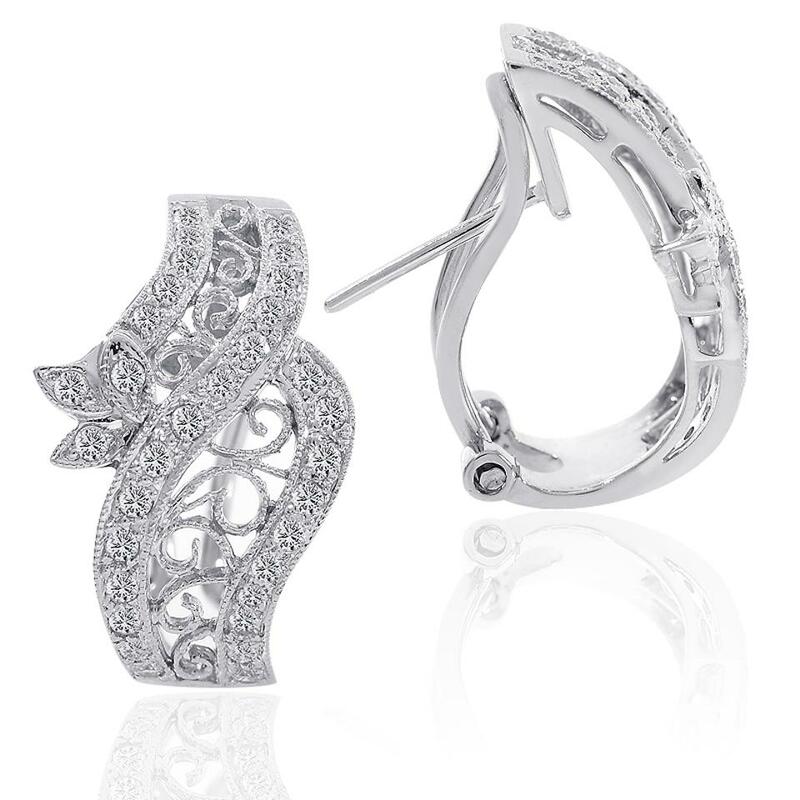 Dazzling and dainty, these diamond fashion earrings beautifully transition from day to night. 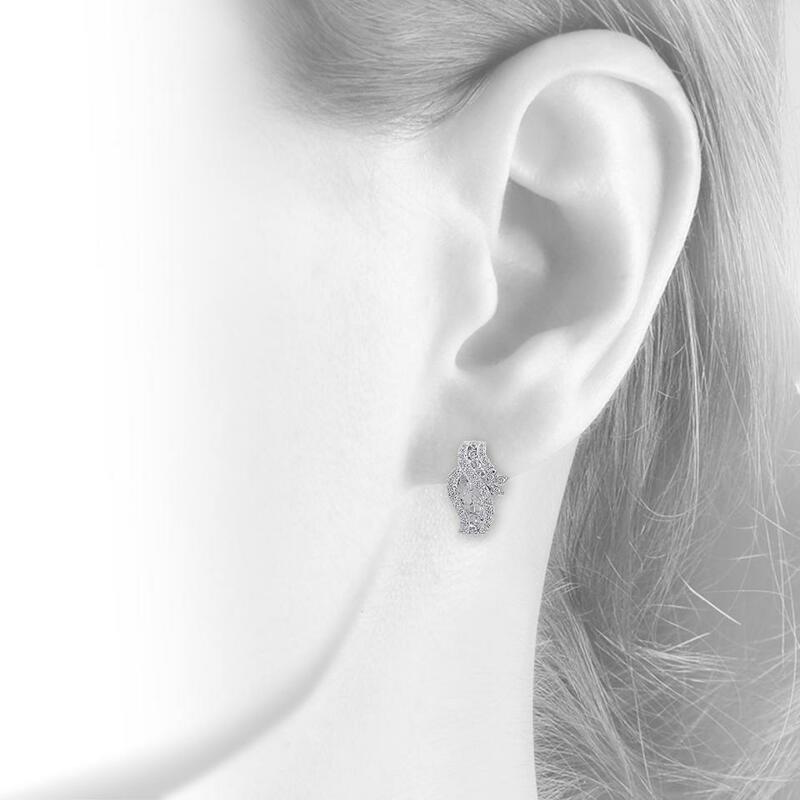 This piece shines elegantly in the light, drapes beautifully on the ears, and will look stunning from season to season! Exuding fresh and trendy elegance, these romantic earrings are made fashionable with round cut diamonds 0.75 carat total weight. Decorating each stunning hoop, double-encrusted borders and filigree rope ribbons, crisscross through the front. These 18K white gold french back closure earrings look stunning from all angles. Add a versatile piece to your jewelry collection. J-hoop earrings feature a color/clarity is G/SI1 in a pave setting that sparkle from every angle. 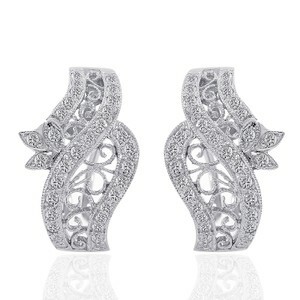 They are set in 18K white gold and weight 7.1 grams. Earrings' diameter is 13.3mm, width 12.7mm, length 19.8mm.